Welcome to the Space Wolves Outpost. 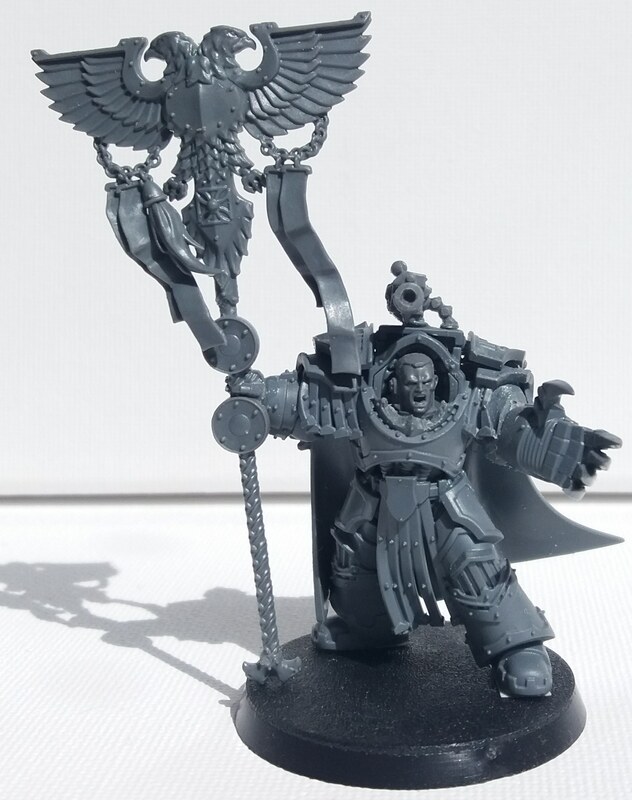 Space Wolves belong to the “Adeptus Astartes” Faction. Here you must also post your “before” and “after” pics of your vows as well as any WIP you may want to share. You may also use this thread to discuss the progress of the event with your fellow participants, exchange ideas, offer and receive modelling/painting advice and generally have some ETL–related fun! 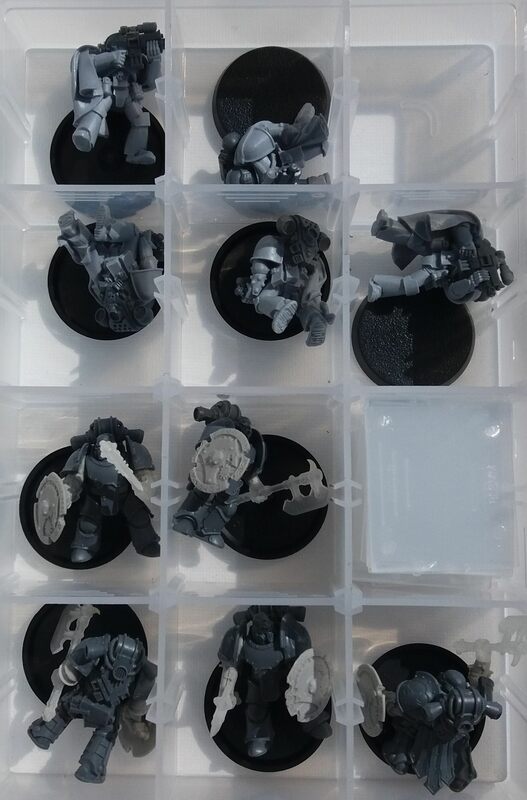 Note: The list also specifies what other Space Marine units from Index Imperium 1 may be used by the Space Wolves. However, in case of points discrepancies between Index Imperium 1 and Codex Space Marines, the points of the Codex will be used instead. This means that the Index lists are good until the Codex is released (in which case the Index list becomes obsolete and cannot be used by anyone). Also, FAQs that come in the wake of a particular Codex (or other publication) take precedence over the Codex (or other publication). Also, any PDF releases by either Games Workshop or Forge World are also admissible (even if experimental) until an official publication that contains them is released. Honoring the hard work Dantay VI put in to collect most of these links for last ETL, two years ago, I wanted to collect these in a visible,central position, so all of us, from fresh Blood Claws to the oldest of the Long Fangs, can benefit from it during this time of challenge. I will try to keep this updated and add to it, over time, as I find more helpful links. If YOU want to add to it, post it within the thread, so others can see it and I can add it to this aswell. If YOU think something is missing that you desperately need guidance on, please tell us aswell, so all of us can be on the look-out and find something suitable for your needs. Using plasticard for banners, cloaks & creating fur, by Argyle. 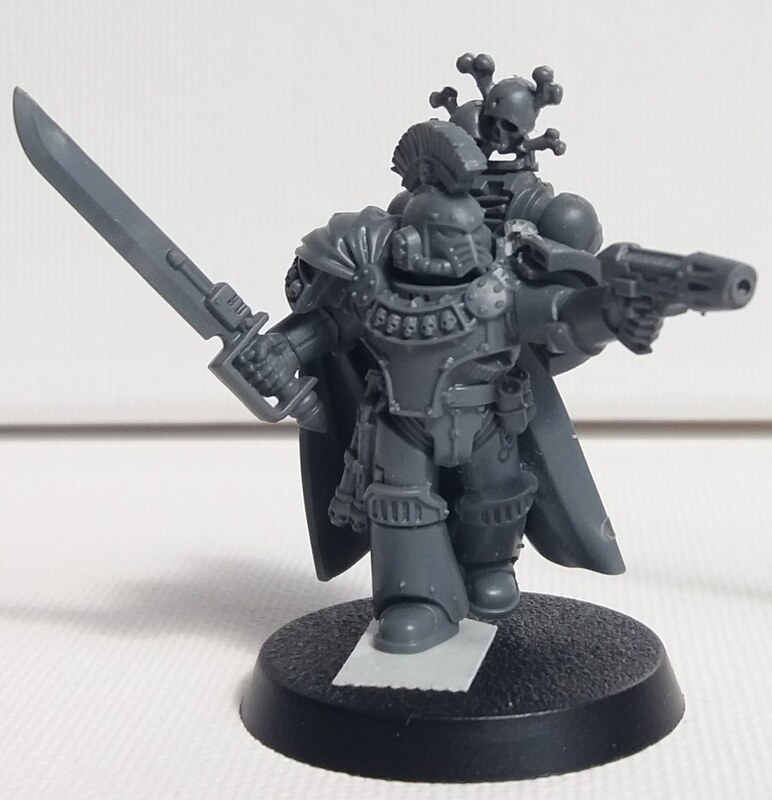 THE HOLY WORDS OF SAINT DUNCAN – LISTEN AND BE RELIEVED OR DISOBEY AND FACE EXTERMINATUS! RikuEru: I highly advise anyone who doesn't airbrush to watch this! It's incredibly useful for FENRISIAN WOLVES and THUNDERWOLVES! Lightning claw, ice blue blades. Quick & easy liquid effects! Edited by RikuEru, 02 May 2018 - 11:17 AM. Who are equal to 831 mortal men on or before August 1st, 2018. Success will see my saga sung in the halls of The Fang for an eternity. Failure will doom me to walk the path of the Lone Wolf and wear the Badge of the Oathbreaker until next winter. Edited by The Saint Ragnar, 15 May 2018 - 11:07 AM. What's going on SWs? To much Mjod last night? You know it has started right? Welcome Saint Ragnar - and with a hefty vow too... Good luck mate! 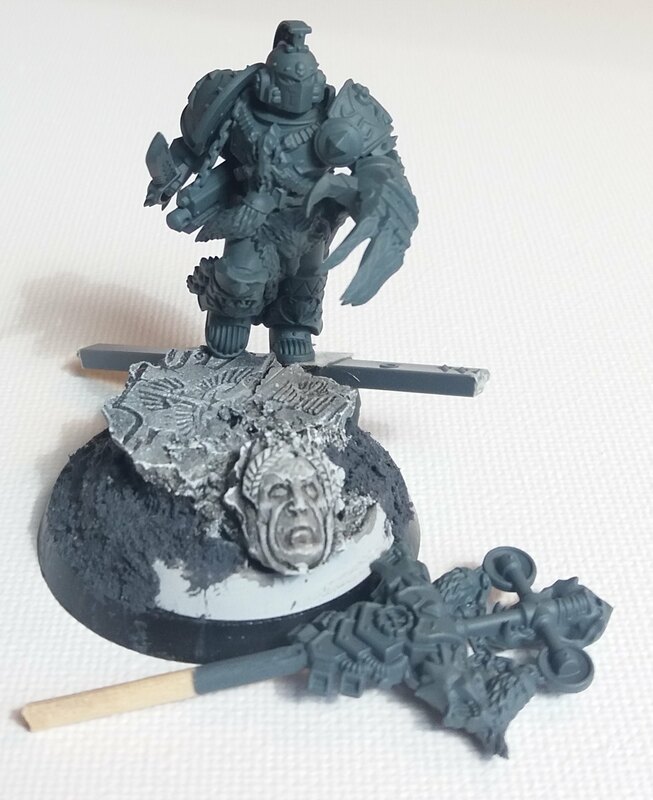 I TrawlingCleaner rise to the challenge of E TENEBRAE LUX on the side of the space wolves and vow to complete 1 wolf guard battle leader in a 5 man squad of grey hunters, for the glorious Sons of Morkai, of total value 106 on or before August 1st, 2018. Success will bring me eternal glory and failure will doom me to wear the Badge of the Oathbreaker until the year-end. Really looking forward to see what other people can do with this, and I'm very excited to get motivated and see how far I can push myself. Good luck to everyone! In the middle of moving house (so currently painting a lot of walls instead of lil' dudes). Welcome TrawlingCleaner - great kit bashing there. Good luck mate! Just getting things built and then I'll get a vow made. Just wrapping the final building for pics for vow 1 though, should be swearing fealty in a few hours! I, RikuEru, rise to the challenge of E TENEBRAE LUX on the side of the Vlka Fenryka and vow to complete the listed Force of total value 2051 points on or before August 1st, 2018. Success will bring me eternal glory and failure will doom me to wear the Badge of the Oathbreaker until the year-end! Edit: Photos have been added. Thanks gnalbel for checking the points values, so I adjusted it! New total: 2051 points. Edited by RikuEru, 02 May 2018 - 11:51 AM. I, gnalbel, rise to the challenge of E TENEBRAE LUX on the side of the Vlka Fenryka and vow to complete the listed Force of total value 357 points on or before August 1st, 2018. Success will bring me eternal glory and failure will doom me to wear the Badge of the Oathbreaker until the year-end. 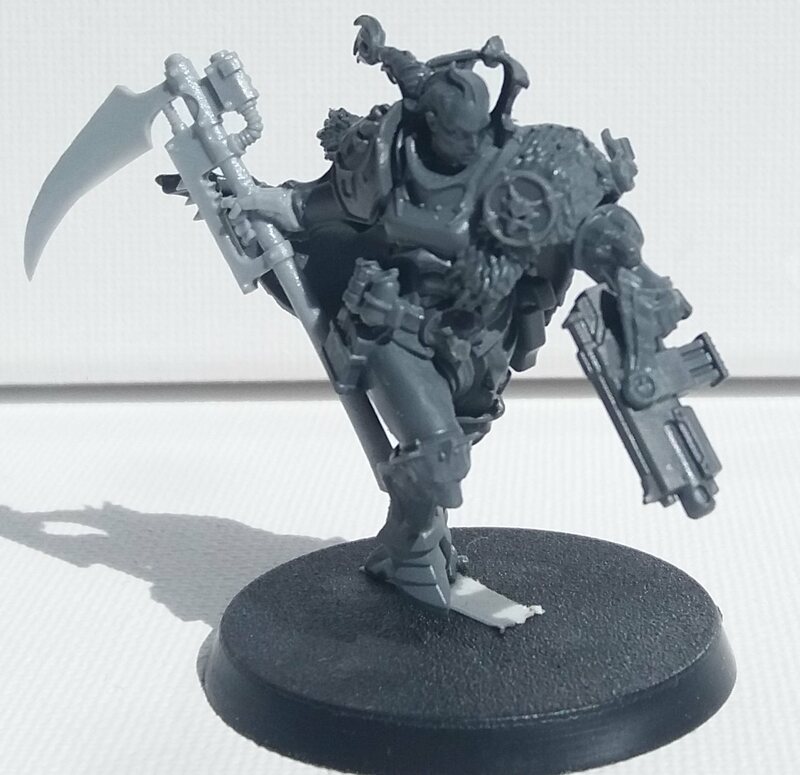 Jarl Kjaran Coldheart makes light of Semper’s challenge and throws his might behind the Vlka Fenryka, the Emperor’s Executioner, the Breakers of Prospero, known as the Space Wolves across the Imperium and beyond. I vow to have this force completed on or before August 1st, 2018. 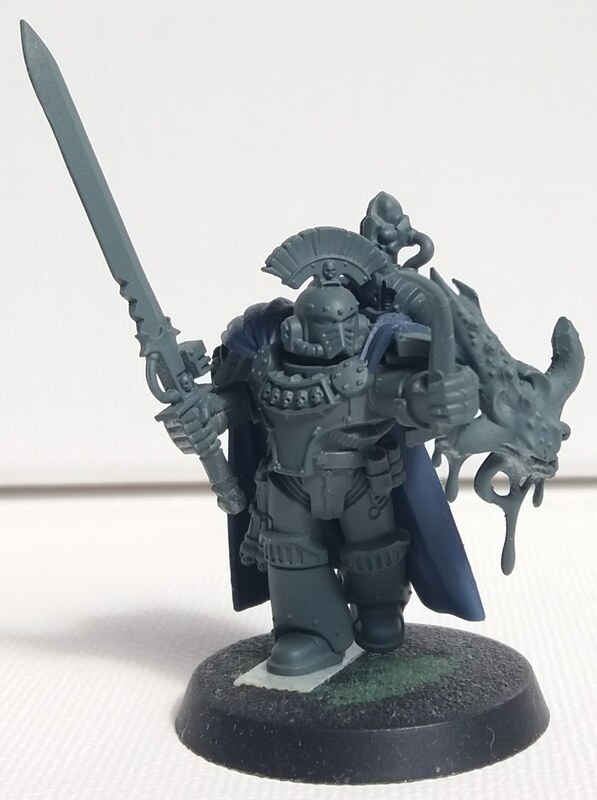 Success with bring glory to the Aett and the Sons of Fenris while failure with doom me to wear the Badge of the Oathbreaker until the end of the year and a debt of honor to Captain Semper. So swears Jarl Kjaran Coldheart, the Talon of Fenris. I Threadcutter rise to the challenge of E TENEBRAE LUX on the side of the Space Wolves and vow to complete 2 units of 3 Thunderwolf Cavalry, all equipped with Storm Shields and both Pack Leaders wielding Thunder hammers, a total value of 332 points on or before August 1st, 2018. Success will bring me eternal glory and failure will doom me to wear the Badge of the Oathbreaker until the year-end. Edited by Threadcutter, 02 May 2018 - 02:31 AM. Noted. will update the points once i get home from work. My apologies. Phase 1- more minis to come. Edited by Torin, 04 May 2018 - 03:02 AM. What happened? The Wolves awoke?!?!? Hi Torin, just need you to work out the points total of your vow and edit it in. 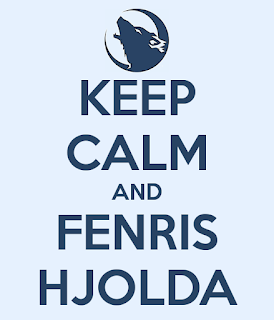 If you need assistance I'm sure some of your fellow Jarls here will help you and I'm also available too. Also I'm not sure what you mean by phase 1. If you mean that more miniatures will be coming in a second vow that's great. But if you mean that the same minis will be worked at a higher standard in a next vow, then that's not allowed. The minis must be declared complete in order to count. Can you please clarify? Cheers. Captain Semper: Photos have been added. Thanks gnalbel for checking the points values, so I adjusted it! New total is 2051 points! Jarl Kjaran Coldheart - Respect. Absolute respect. That vow is inspiring and gets me going. ...and I will try to catch up. Threadcutter, good start aswell! Can't wait to see those painted, so I have more inspiration for my own Thunderwolves in a later vow! 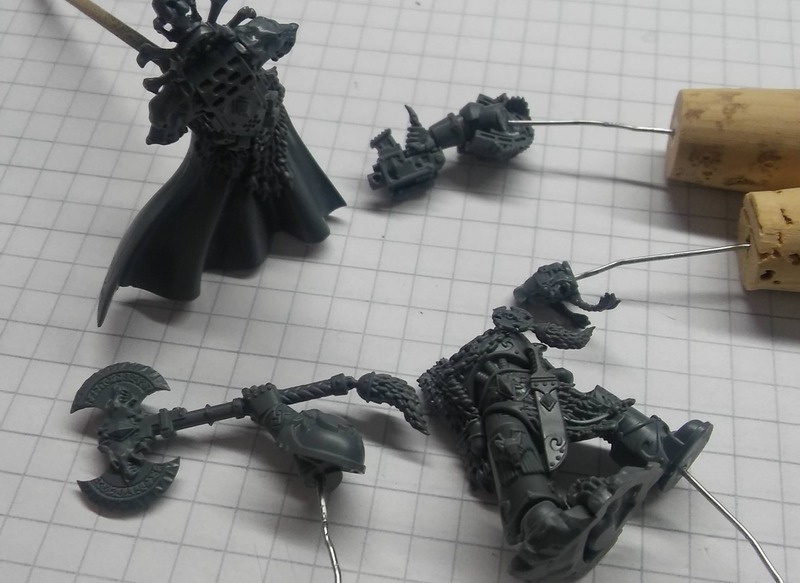 Torin, nice mix of miniatures! Give me a shout if you need help with the point values! On or before August 1st, 2018. Success will bring me eternal glory and failure will doom me to wear the Badge of the Oathbreaker until the year-end. For Russ and the All Father! I hope a link is ok I could get the image to display in post. I've never been great at this. Edited by jbickb, 02 May 2018 - 01:10 PM. I vow to complete the following reenforcements for total value of 1021 points on or before August 1st, 2018. 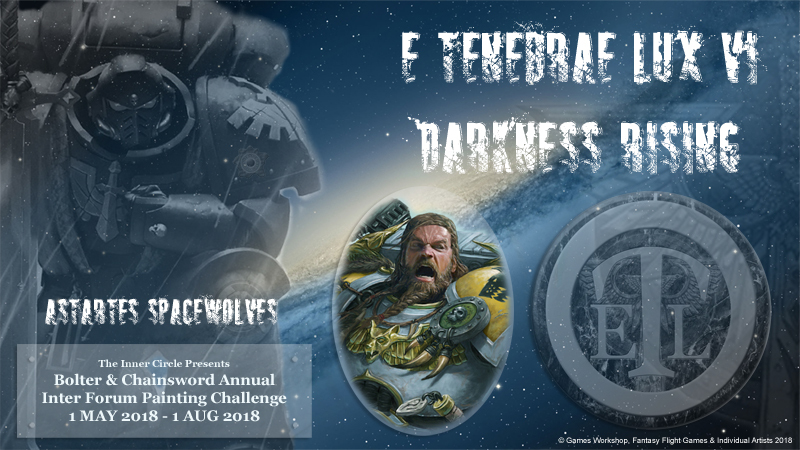 I Gemini rise to the challenge of E TENEBRAE LUX on the side of the Space Wolves and vow to complete 2 units of 5 Fenrisian Wolves, each unit will have an additional Cyberwolf with it worth a total value of 90 points. 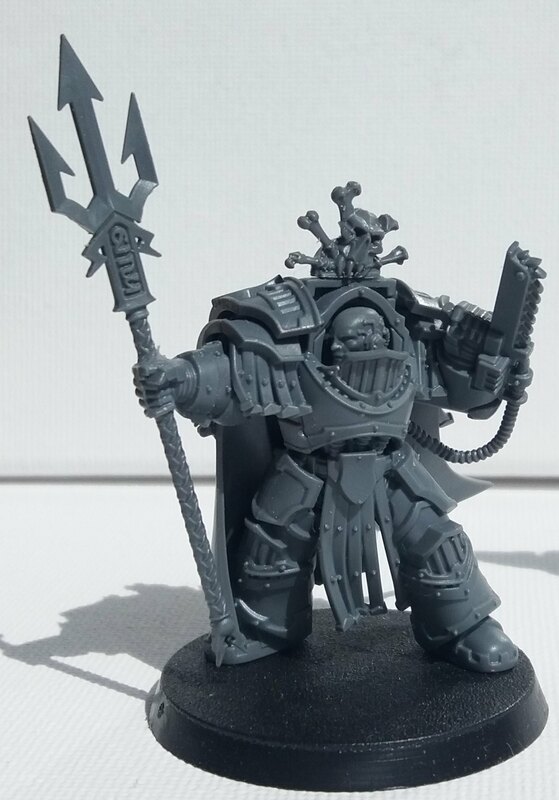 I will also vow a unit of Blood Claws with a Flamer, Blood Claw Pack Leader with a Power Sword and a Wolf Guard Pack Leader armed with a Combi-Plasma and Frost Axe worth a total value of 126 points. This brings my total vow up to 216 points to be completed on or before August 1st, 2018. Success will bring me eternal glory and failure will doom me to wear the Badge of the Oathbreaker until the year-end. Haven't painted in several months... taking it slow and repetitive to start out. Edited due to mis-counted points and misplaced blood claws. Edited by Gemini, 02 May 2018 - 07:20 PM. 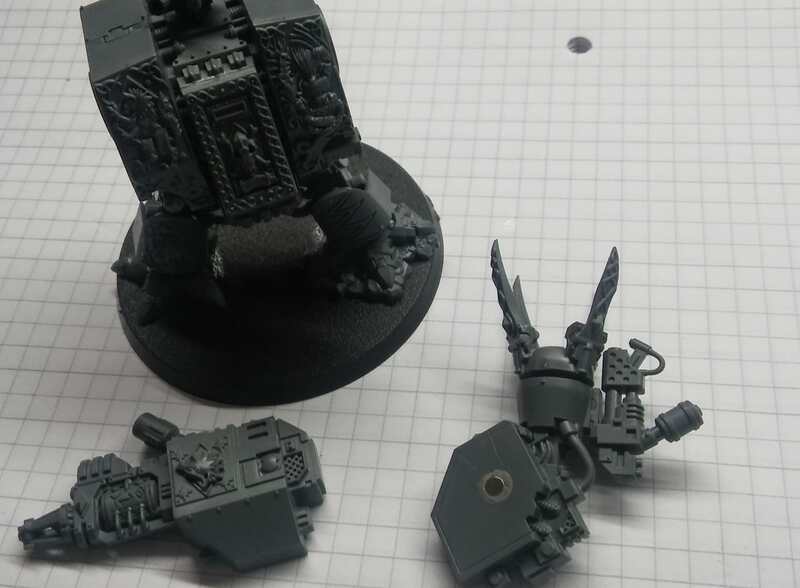 I Mactire, pack member of the Rout and veteran of the ETL Long War, rise once more to the challenge of E TENEBRAE LUX and vow to complete, 1 drop pod with StormBolter(103pts), 1 Predator battle tank, with StormBolter and 2 HeavyBolters(124pts) and 1 Vindicator with Hunter-Killer missle and StormBolter(168pts) for a total of 395pts, before the 1st of August, 2018. Success brings glory to the Aett and failure, HAH.